TruePublica Editor: I don’t have 100 per cent faith in economists overall but Simon Wren-Lewis is a man with a long successful career with credentials to match and it is definitely worth considering his comments. Wren-Lewis worked for Her Majesty’s Treasury as a budget-team member from 1974 to 1981. From 1976 to 1980, he worked for the National Income Forecasting Team as a senior economic assistant. From 1986 to 1990, he was a Senior Research Officer and Senior Research Fellow at the National Institute of Economic and Social Research. Today he is Emeritus Professor of Economics and Fellow of Merton College, University of Oxford. There are several points that Wren-Lewis makes in this recent blog post that is worth noting now and watching out for in future. That is, the language of Brexit and the constantly changing points being made by the Brexiteers currently in the corridors of power and their media supporters. This is an interesting read even if you don’t agree with his sentiments. By Simon Wren-Lewis: Why the UK cannot see that Brexit is utterly, utterly stupid. If you talk to almost anyone overseas, except those at the right wing extreme (like Trump) or part of a tiny minority of the left, their reaction to Brexit is similar to the former Prime Minister of Finland. What the UK is doing is utterly, utterly stupid. An act of self-harm with no point, no upside. Now sometimes, outside opinion is based on incomplete or biased information and should be discounted, but on Brexit, it is spot on. So why are so many people in the UK unable to see what outsiders can see quite clearly? The days when Leavers were talking about the sunlit uplands are over. Liam Fox has not even managed to replicate the scores of trade deals the UK will lose when we leave the EU. As to independence, Leavers just cannot name any laws that the EU imposed on the UK they do not like. Since the referendum, even public attitudes to immigration have become much more favourable. Instead, there has emerged one justification for reducing real wages, for allowing our economy to lose over 2% of its GDP, to allow firms to make plans and enact plans to leave the UK: the 2016 referendum. People voted for it so it has to be done. It is described as the will of the people. Yet few bother to note that almost half the people voted the other way, with those that would be most affected not even having a vote, and that this victory was won by illegal means. All that is brushed aside. Meanwhile, warnings from important UK businesses become an excuse to talk about WWII, yet again. What people from outside the UK can see that too many inside cannot is how the case for Leaving has become little more than xenophobia and nationalism. What people overseas can also see but we seem unable to is that there is a world of difference between a vote to Leave the EU in an unspecified way and a real, practical plan. Which means that the first referendum, particularly as it was narrowly won, needs to be followed by a second referendum over an actual, realistic way of leaving. In other words a People’s Vote. When Jonathan Freedland says “the notion that a 52% vote for a hypothetical, pain-free Brexit translates into an unbreakable mandate for an actually existing Brexit is shaky at best” he is wrong: the notion is simply wrong. Some of the arguments against this are so dumb, yet are allowed to pass as serious. 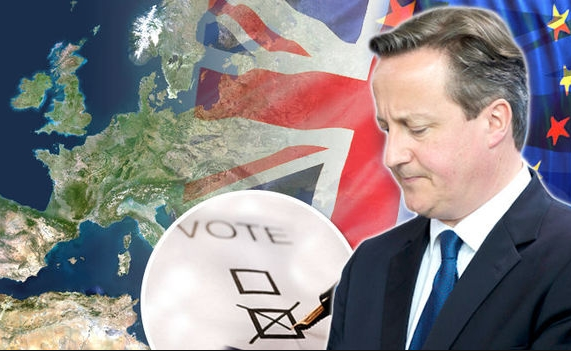 ‘Why not the best of three’: there is no reason for a third referendum. ‘The first referendum was an unconditional vote to leave’: of course it could never be. Suppose we found out that everyone would lose half their income under any specific way of leaving – would you still argue that in 2016 voters voted for that? Or that a second referendum means that ‘politicians have failed the people’. Most politicians voted to Remain because they knew that any realistic way of leaving would be bad for people. They have been proved right and a majority of the electorate might well agree. But by far the worst excuse not to hold a People’s Vote is that a second referendum would be undemocratic. Orwell must be turning in his grave when he hears politicians say in all seriousness that a second referendum would undermine faith in democracy. This is the language of dictators and fascists, but few seem to mind. That is exactly what happened after the 2016 vote. Those wanting to Remain to all intents and purposes ceased to exist. If we are just talking about Leave voters, then, of course, most will be disappointed by a second vote. Is this why Labour MPs just worry about Leave voters in their constituencies, because Remain voters no longer matter? It is why we get endless Vox pops from Leave constituencies and no mention from EU citizens who have lived here for years who are worried sick because the computer might say you have to leave. How did Remain voters get effectively disenfranchised? Why is the lunacy of what this country is doing only apparent to foreigners? Answering this question is not hard for anyone who has read my book‘The Lies We Were Told’. What we have that foreigners do not is a public discourse shaped by a handful of newspaper proprietors who just happen  to be intensely hostile to the EU. Partly through intimidation by that same press and their political allies, the BBC follows this discourse. This is where the ‘will of the people’ came from. It was this press that puts rebel Conservative MPs on their front pages, and that uses language like saboteurs and traitors. It is intimidating MPs in order to influence the democratic process, but of course few in the media call it that. As I discuss in my book, I have seen this before in a milder form at least twice in recent times. In the first, the UK convinced itself that austerity was the only way forward, despite most academic economists saying otherwise. It was the media that promoted claims that governments were just like households, even though first-years economics students are taught why this is not true. And then it was the media that pushed (or left unchallenged) the idea that austerity was the result of Labour profligacy: it was a straight lie but it played a critical part in the 2015 election. As this one seems very popular, it is worth spelling out why it is rubbish. The 2016 referendum was not some kind of contract, where all those voting to leave committed to support any vote to leave for all time. It is highly likely that some people voted for a particular kind of Brexit and would prefer Remain to other types of Brexit, which is crucial given the narrow victory. (Which is also why claims that Remain cannot be on any second referendum ballot are also nonsense.) Some may have voted Leave to give more money to the NHS and to stop Turkish immigrants, in which case they may have changed their minds. It does not say “we should leave whatever the form of leave at whatever cost” on the ballot or the small print, because there is no small print.